ML-25LT 2 Cell. LED 177 LUMENS. SPECIFY BLACK,BLUE,RED, OR GRAY. MAG-lite flashlight aircraft grade aluminum. Requires 2 C batteries (not included). Cardboard gift box . Lifetime warranty. U.S. manufacturer. 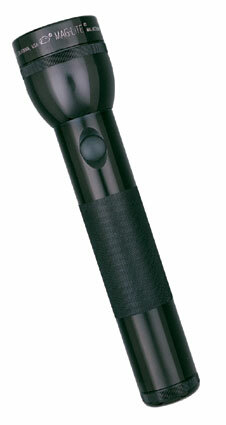 Flashlight Center Grip 1 in. 2 in.